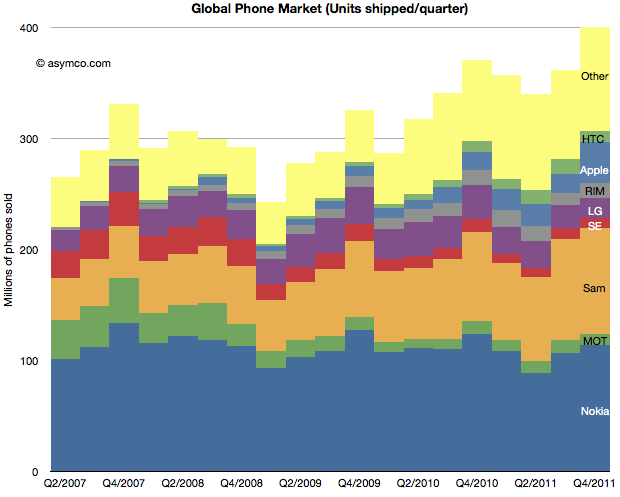 Apple reached the third place rank in total units shipped during last quarter. 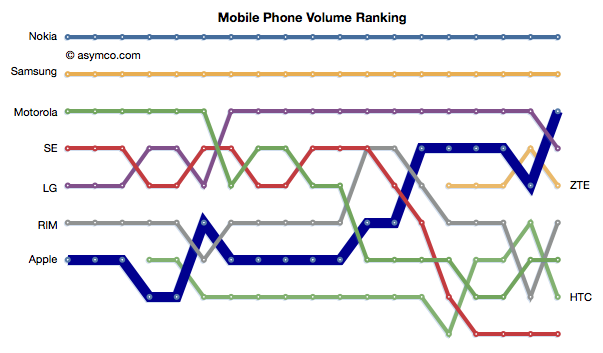 The following chart shows the ascent in rank. 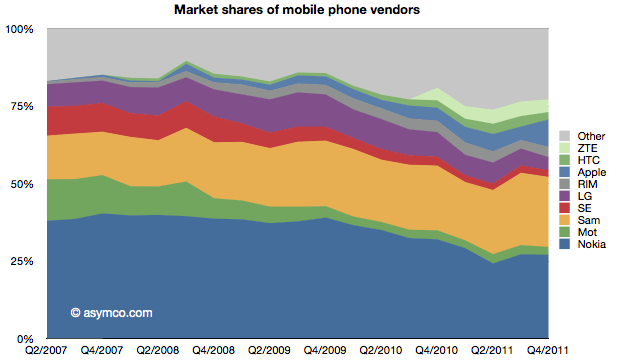 Apple achieved this with a total market share of about 9%. Second place Samsung has 22.6% so there is significantly more room to go before Apple gets to be second. Nevertheless, the climb to third was achieved in less than five years. At the time when Apple entered the market third place was held by Motorola with shipments of 35.5 million units (Q2 2007). Motorola only managed 10.5 million in the last quarter. To see growth I prepared the following chart showing the fourth quarter’s growth by vendor according to four years’ compounded, sequential and y/y growth. 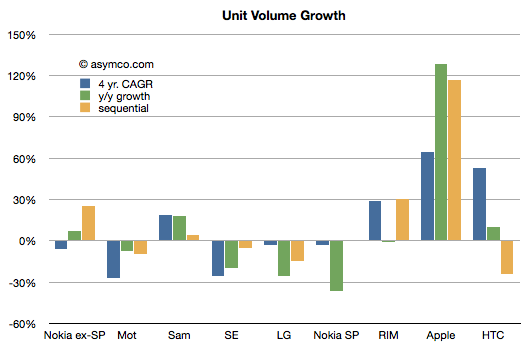 On a four year compounded basis, the pattern is that of Apple, HTC and RIM showing significant growth with Samsung showing moderate growth. The other vendors all had negative real volume growth. The list does not include “Others” which had 13% compounded growth. Projecting Apple’s 60% rate of growth and a market growth of 10% leads to Apple obtaining 27% share by the end of 2014. My guess would be that is when we’ll be able to write a post about Apple being second. I don’t have HTC data for Q4 2007 so the compounded rate is measured for three years.